Optimizing nanotechnology to revolutionize precision oncology medicine. Highly sensitive. Cost effective. Fast. Novel precision molecular monitoring platform using carbon nanotube technology to rapidly test for biomarkers including DNA, RNA, and protein. Founded in 2016, Nanobernetics is focused on bringing a highly precise, cost effective, and easily accessible device to the oncology treatment landscape. Currently, we are focused on Chronic Myeloid Leukemia (CML) patients, who require lifelong frequent monitoring of BCR-ABL mRNA to evaluate treatment response. With over 100,000 patients in the U.S., our Smart CML Detection system produces accurate quantitative measurements to improve disease treatment and enhance the quality of life for CML patients. Chronic Myeloid Leukemia (CML) is a blood cancer that produces the mutated gene BCR-ABL. Current molecular monitoring for CML is done via qRT-PCR, which may result in false negative remission diagnoses due to lack of sensitivity. 60% of CML patients experience disease recurrence after treatment is withdrawn. Our carbon nanotube technology enables precision monitoring in the femtomolar range, a 1000x enhanced sensitivity compared to existing detection technologies. The multi-probe detection system uses our Smart CML Chip™ in a small portable device, enabling rapid, precise, and cost-effective disease monitoring in the comfort of the patient’s home. Our technique transforms molecular monitoring as an indispensable tool for precision oncology medicine. Camilo grew up in Columbia, Maryland and attended the ARL Biotechnology career academy which forever changed his outlook on science. He continued to pursue and explore his passions in multiple labratories at the University of Maryland, College Park (UMCP) and graduated with a BS in Kinesiology. 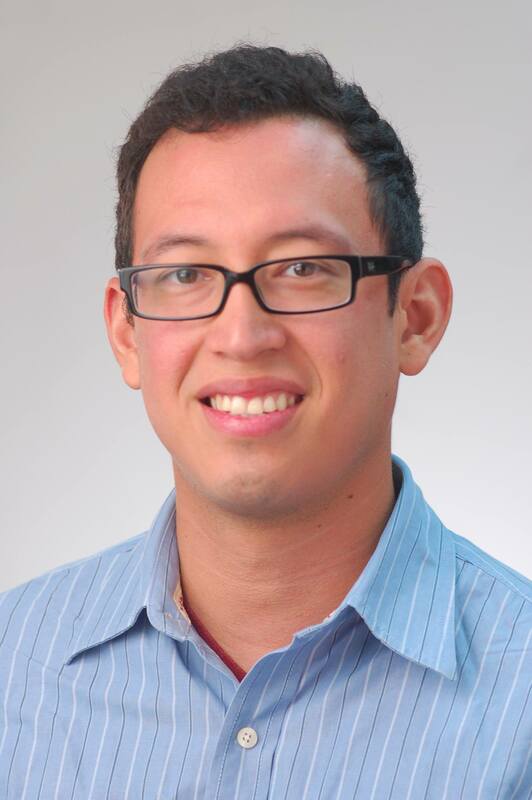 While attending UMCP he fell in love with improving the human condition and decided to attend the University of Maryland school of Medicine, Graduate Program in Life Sciences. He is currently a 4th year PhD candidate in the Molecular Medicine program working on understanding the mechanisms behind skeletal muscle movement with regards to calcium channels and interacting proteins . Camilo hopes to one day make biology as ubiquitous and user-friendly as an iPhone so that anyone can enjoy its beauty. Elizabeth is a PhD candidate in the Molecular Microbiology and Immunology Graduate Program at the University of Maryland, Baltimore. She is originally from Cincinnati, Ohio. 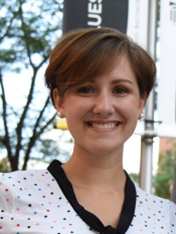 Elizabeth graduated from DePauw University in 2013 with a BA in Biochemistry. Currently, she is focusing her thesis research on the functional status of regulatory T cells in Systemic Lupus Erythematosus. Elizabeth aspires to be build a career in which she will help turn promising research findings into treatment options for patients and caregivers. She is motivated by a desire to make in impact in disease treatment and management.